Weber Bros Circus may be the upcoming event you’re looking for. 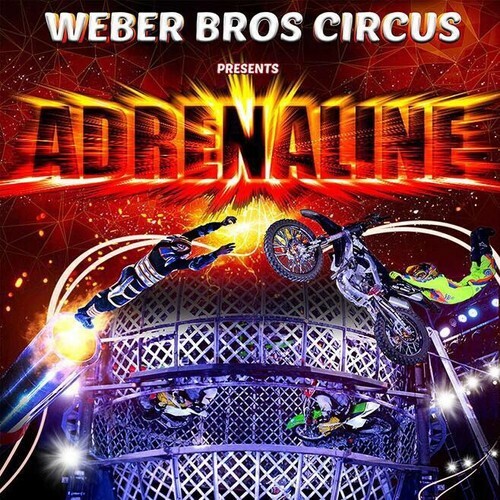 Having completed a year-long tour of NZ on the back of their last highly acclaimed world tour, Weber Bros Circus is proud to continue their most exciting and thrilling production yet - Adrenaline! Compiling some of the most extraordinary international circus acts, this ‘adrenaline' pumping two-hour show introduces some of the best comedians, FMX Riders and acrobats you could see under a big top, not to mention the show-stopping Splitting Globe of Death and Human Cannon! Hold onto your seats for an adrenaline pumping spectacle that will entertain family members of all ages!